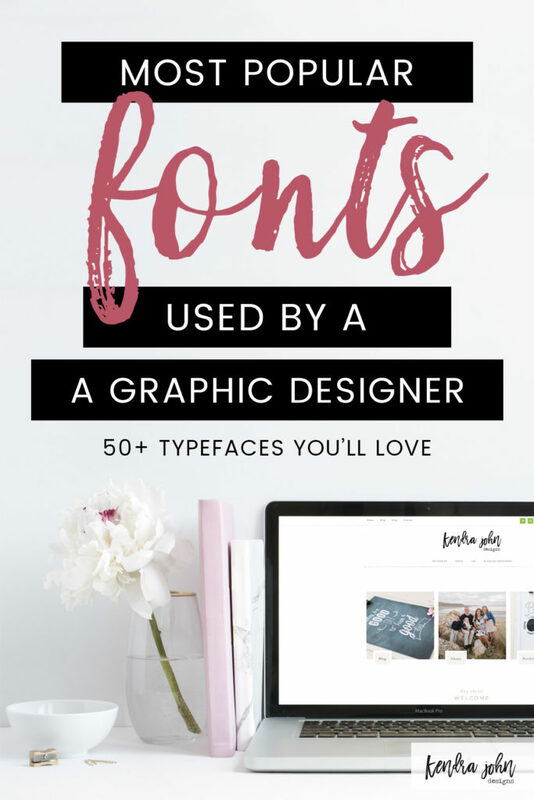 The top 15 fonts I use as a graphic designer! Some people collect shoes and purses. I collect fonts. When I was in 5th grade I would ask to use my teacher’s computer so that I could type my name in various fonts, print the out on small pieces of paper and tape them to my desk. Yep. Graphic design nerd since childhood. Today I’m sharing a list of the top fonts I used this past year. They aren’t in any particular order. That would be like naming a favorite child! I use these fonts all the time. 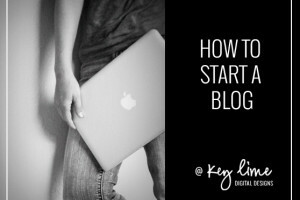 I almost feel like I am sharing my secret weapon with you. But it’s all good. I have categorized these into free and paid fonts. I buy fonts from Creative Market. I know not everyone has a budget specifically for fonts so you can browse the free section below. 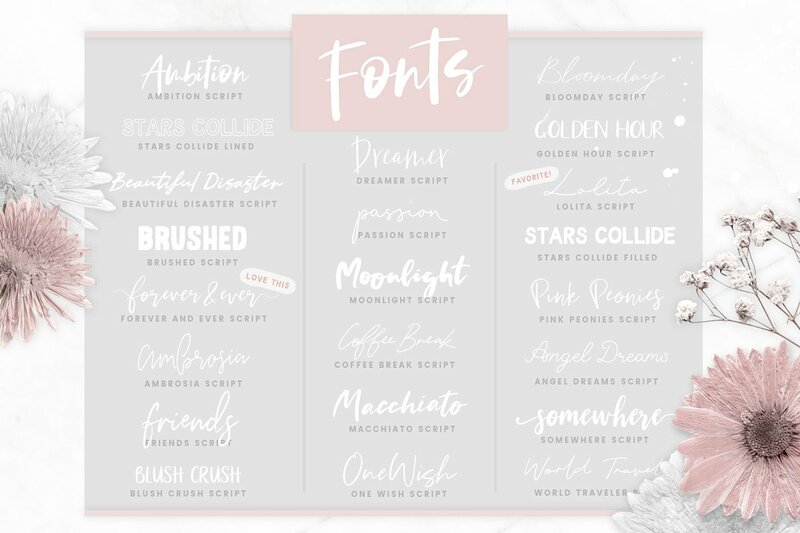 Keep in mind that if you’re looking for beautiful scripty handdrawn fonts you will have to pay for those. Tip: Creative Market gives away 6 different products FOR FREE each week. 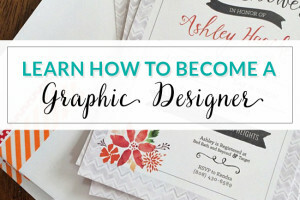 They are usually a mix of fonts, graphics, and templates. So don’t forget to check those out each week! *These links are affiliate links. That means by purchasing through these links you help support my business at no extra cost to you. Thank you! 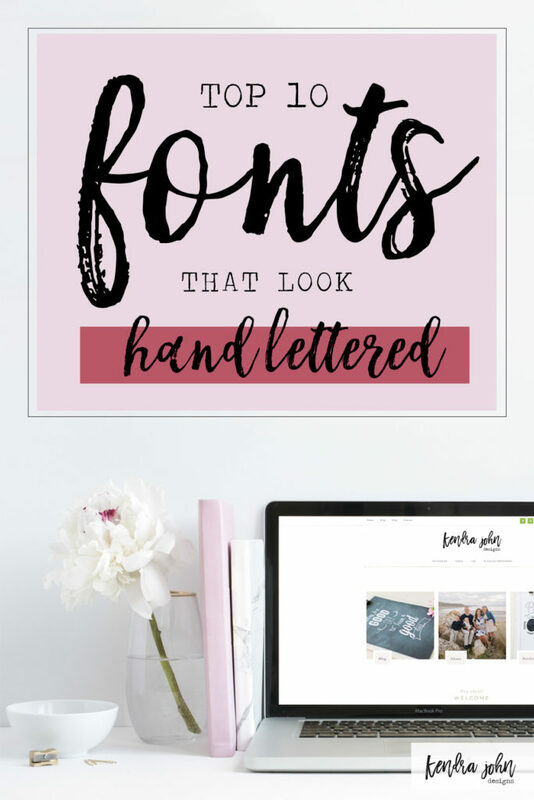 A lot of these are font duos. Meaning they come with two fonts that are designed to be paired together. 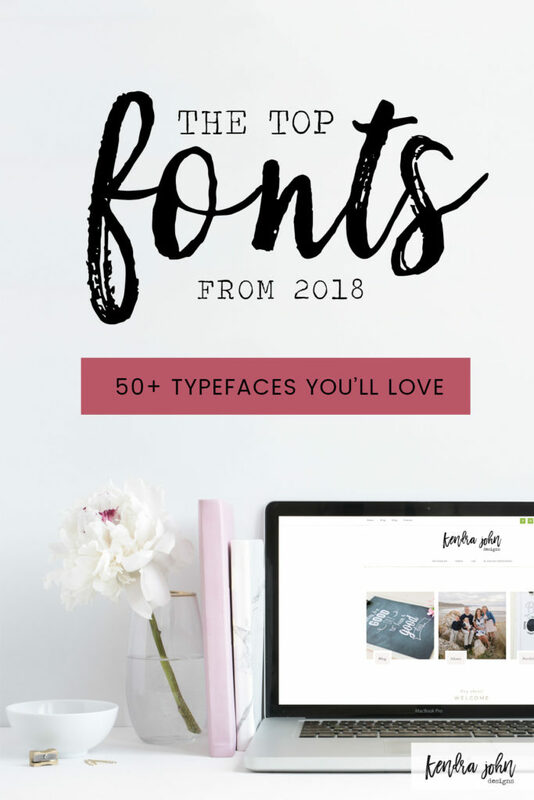 So this list actually includes like 50+ Fonts! #1. 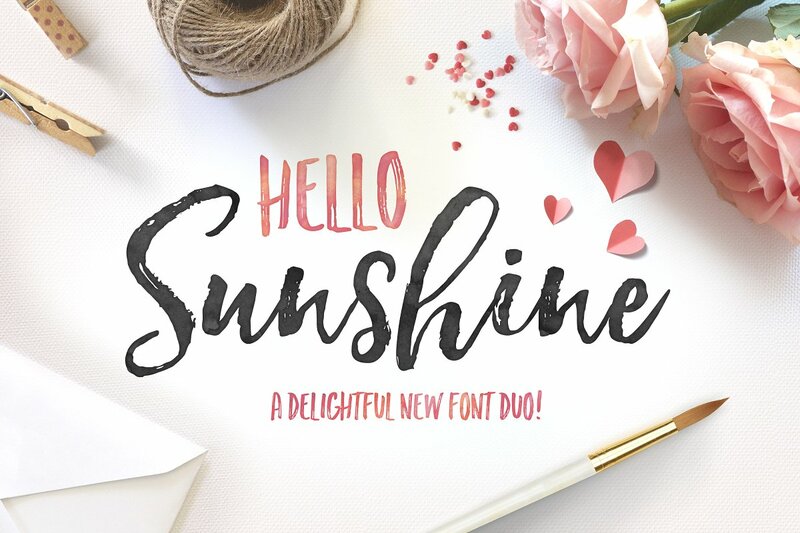 Hello Sunshine Duo – This is a beautiful hand brushed typeface. 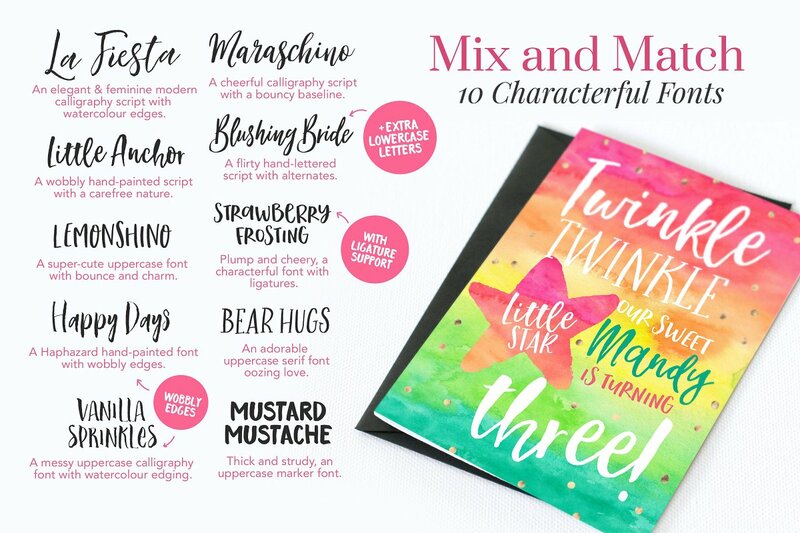 It includes a cute script font as well as a marker font. The perfect pair! #2. 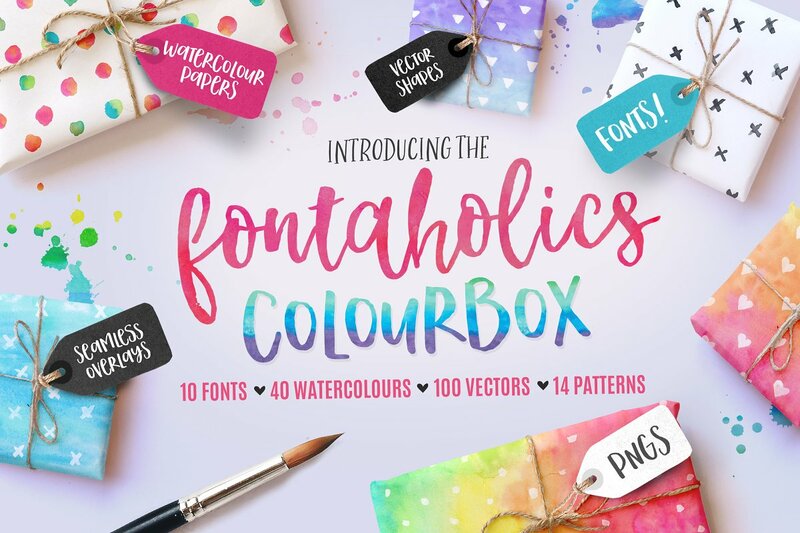 Fontaholics Colourbox – This has 10 (ten!) amazing fonts by my favorite font designer Nicky Laatz. These are my GO TO fonts. #3. 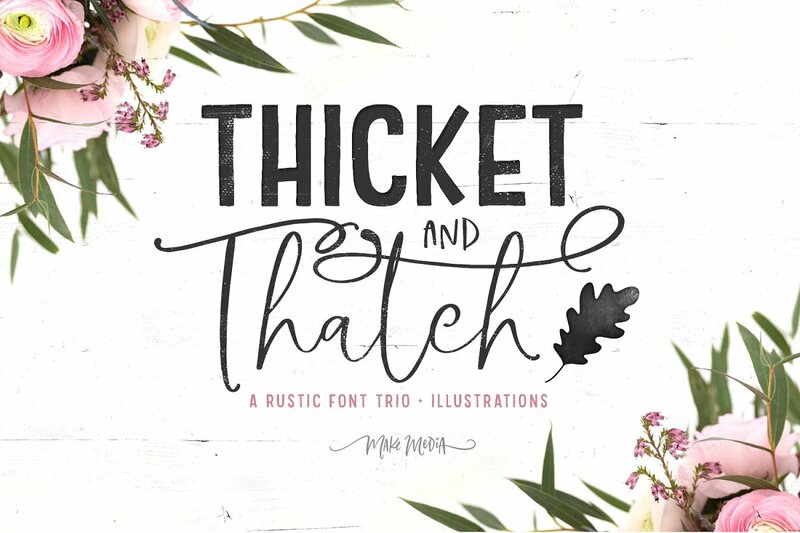 Thicket and Thatch – Another fun pair! The sans serif font is a little more playful and has a slight grunge. The script is flowy and beautiful! #4. 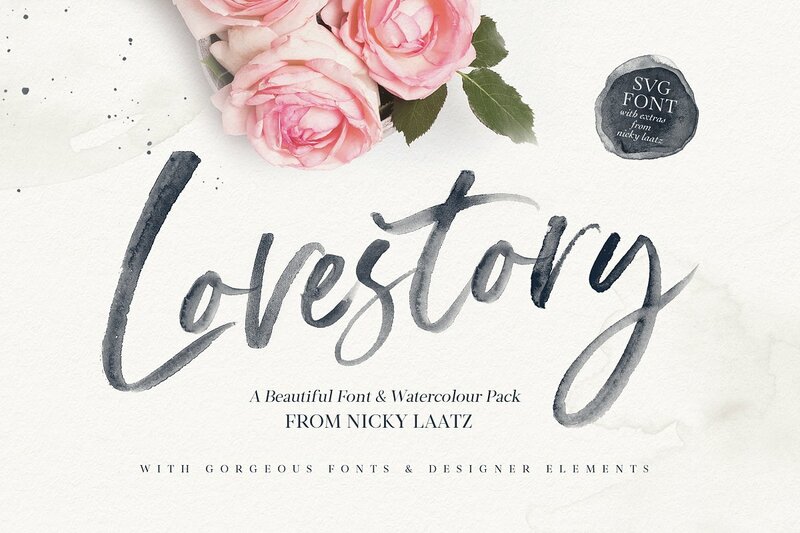 The Lovestory Font Collection – A watercolor font collection! This was so on trend for the year! The watercolor strokes are gorgeous and totally compliment the fancy serif font. #5. 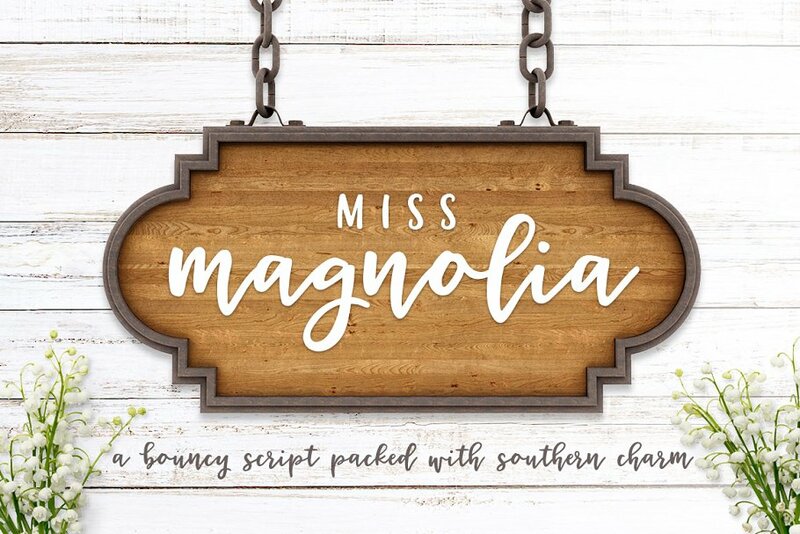 Miss Magnolia – Just like the description says … This is a bouncy script font with lots of southern charm! Also a font duo. Think Chip and Jo. #6. 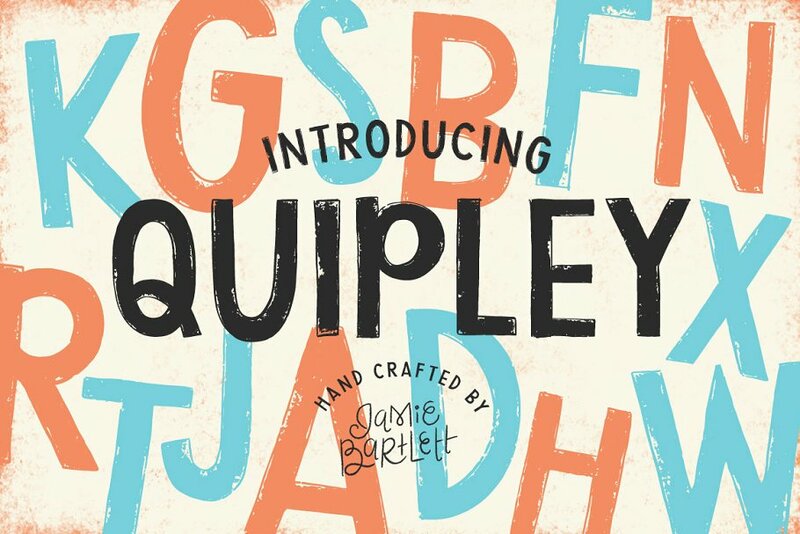 Quiply – This is definitely a more playful font! I use this on bright and colorful projects! #7. 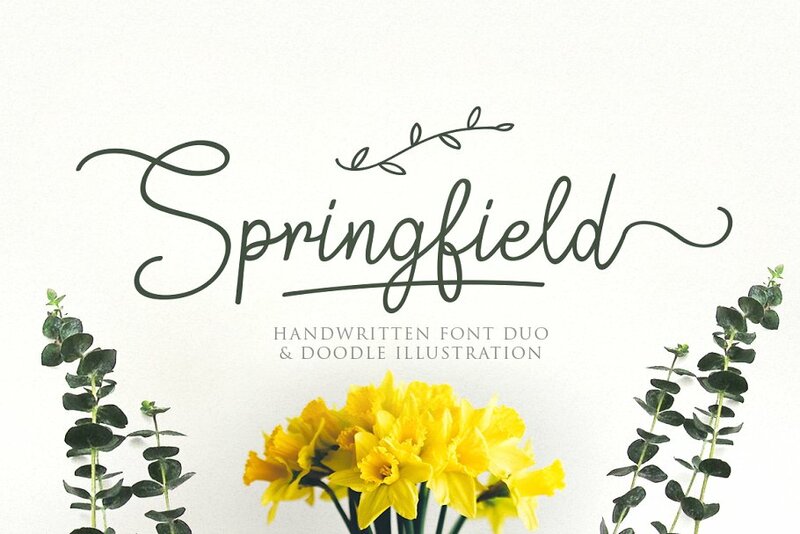 Springfield – This is a fancier font in my opinion. It comes with lots of swirls and loops! Gorgeous and elegant. #8. 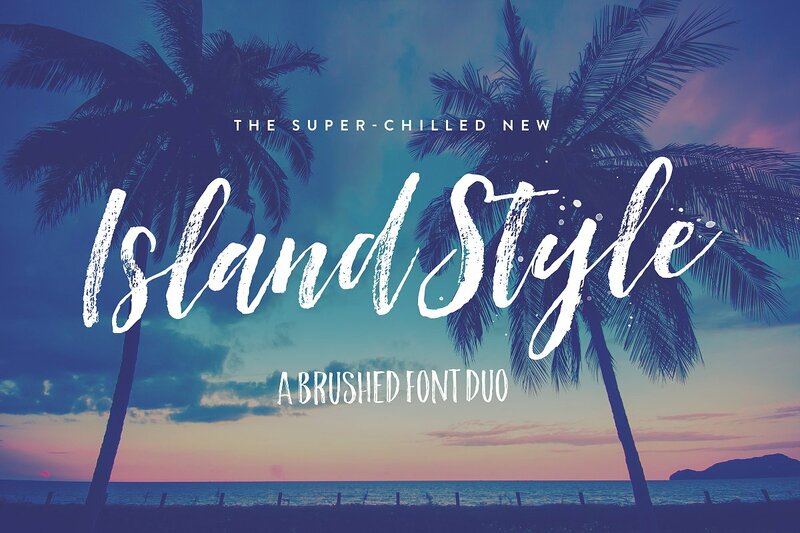 Island Style – This has been one of my favorite fonts for a long time! I love the grunginess but also the fancy script letters that are easy to read! Also another duo, comes with a script and a sans serif font. # 9. 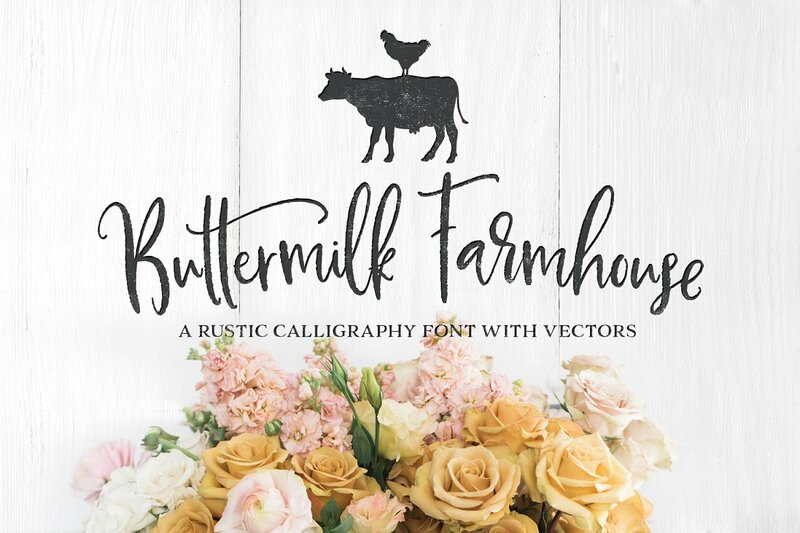 Buttermilk Farmhouse – Pretty much looks like I only purchase font Duo’s ;) And this is another amazing one. Buttermilk Farmhouse comes with lots of swooshes and curly letters! #10. 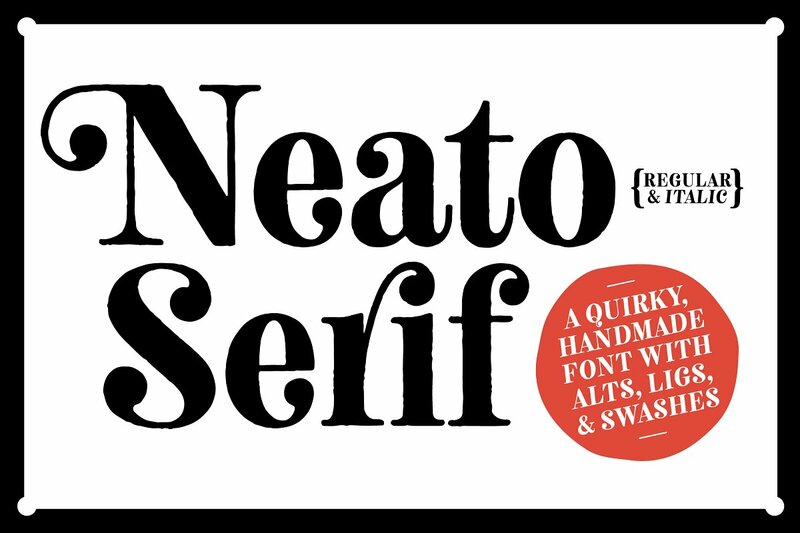 Neato Serif – Neato Serif is a hand drawn, quirky serif font. I don’t use this one as often but when I’m looking for a fun serif font, this is it. #11. 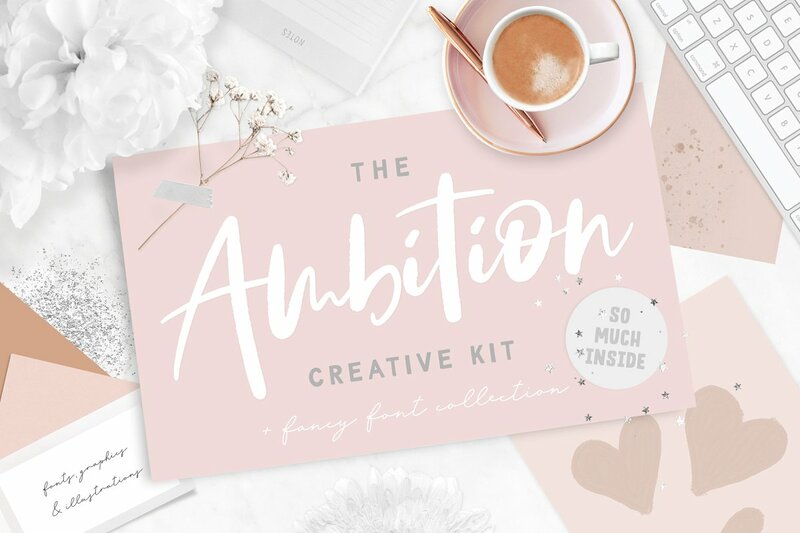 The Ambition Creative Kit (26 fonts!!!!) Oh man, these are all amazing fonts. And they pair amazingly with each other! I really love the Passion Script and the Friends Script! #12. Poppins Light – This is one of my all-time favorite sans serif fonts for big chunks of text. It also pairs well in all caps with script fonts. #12. 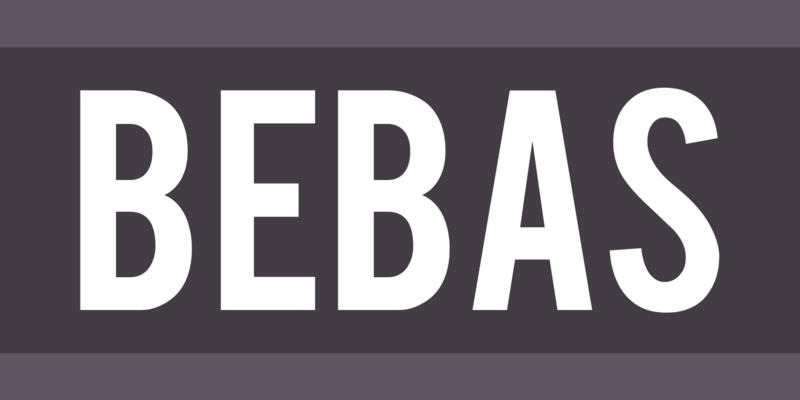 Bebas – This is a great headline font. Technically it’s a “display” font. It pairs well with thin san serif fonts, like Poppins. #14. Chunk Five – This font is a chunky serif font that almost feels slightly like cowboy boots. Good for bold title. #15. 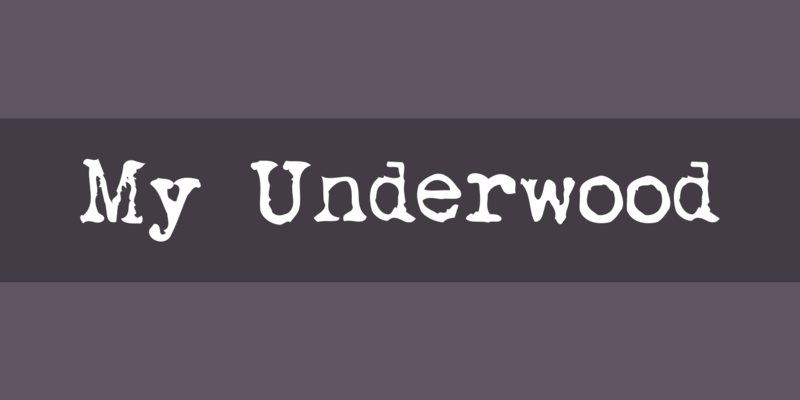 My Underwood – A good old fashioned typewriter font! There you go. Those are my favorite fonts from 2018. I hope you love this list as much as I do!